After leaking in a landing page on Mobvoi's own website, the Ticwatch E2 is now official and it's being joined by the Ticwatch S2 too. 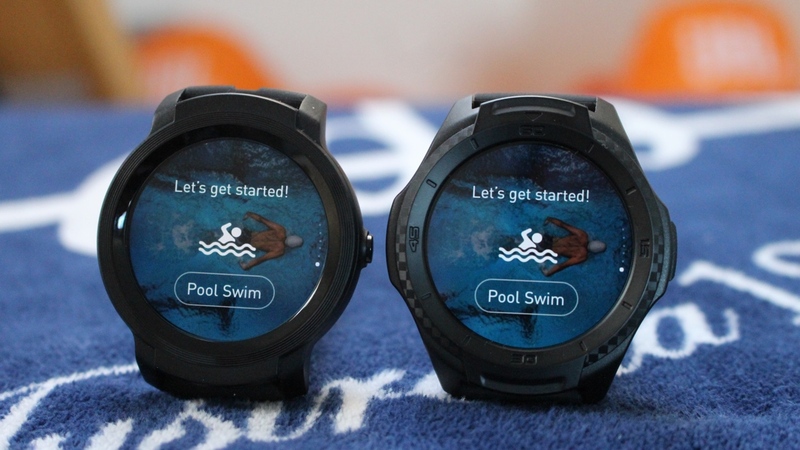 The successors to the Ticwatch E and the S, both smartwatches run on Wear OS and feature waterproof designs, which are according to Mobvoi both swim and surf ready. The size of the watches have jumped up to 46mm and measure in at 12mm thick. You'll still find built-in GPS, a heart rate monitor and interchangeable 22mm bands on both new Ticwatches. In terms of waterproofing, you now get a 5ATM certified device, which is a big upgrade on the IP67 water resistance rating featured on the E and the S. Now you can go swimming or in the water up to 50 metres deep. Along with a new waterproof design, you're also getting swim tracking with the E2 and S2 able to record laps, duration, speed and will even break down stroke type. A Qualcomm Snapdragon 2100 processor powers performance, so it doesn't include the new 3100 chip that has started to appear in Wear watches. Although not many just yet. It'll be a familiar software experience with all the usual Wear OS features in tact, although it does miss out on Google Pay thanks to the lack of NFC. Mobvoi once again includes its own suite of health and fitness apps to offer you an alternative to Google Fit to view fitness tracking progress and to log workouts. Both the E2 and the S2 feature a 415mAh battery, which Mobvoi claims should improve battery life between 1-2 days on a single charge depending on usage. Pricing and release dates for the E2 and the S2 have yet to be revealed. But we're hoping that despite the addition of the swimproof design, it'll still be as affordable as the first generation watches.